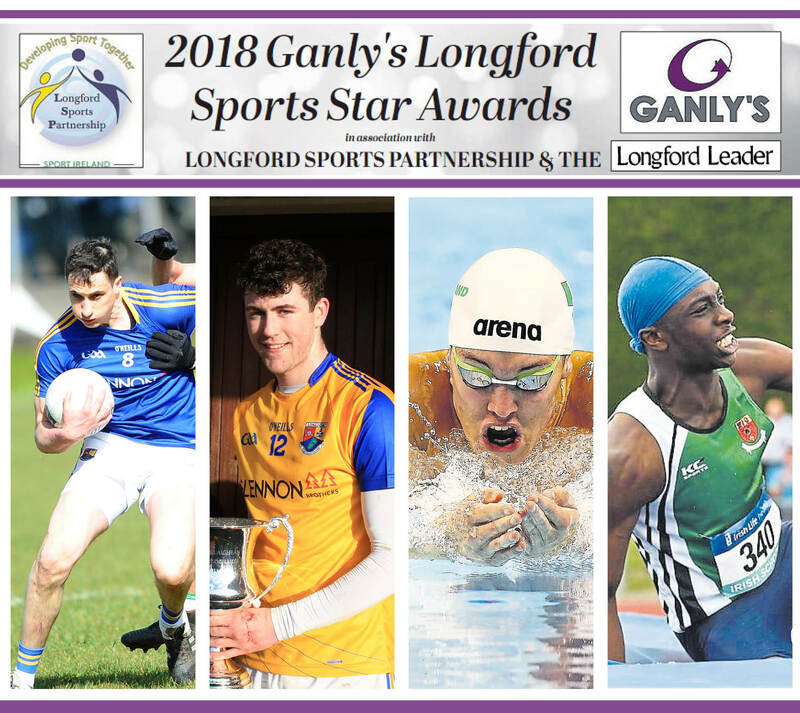 There are four contenders for the 2018 Ganly’s Longford Sports Star of the Month Award for February, in association with Longford Sports Partnership and the Longford Leader. Voting closes at 9pm on Wednesday, September 12. There was talk of promotion after Longford continued their great start to the season with a comprehensive 1-13 to 1-6 win over over Derry (minus the Slaughtneil players) in the National Football League Division 3 game at Glennon Brothers Pearse Park. A key figure in the Round 2 triumph was St Mary’s Granard clubman Darren Gallagher who produced a sterling performance at midfield and also fired over a couple of points. Longford scored a notable success when they won the Kehoe Cup Senior Hurling Tournament for the first time, coming from behind to beat Wicklow ‘B’ in the final at Glennon Brothers Pearse Park. Just the minimum of margins (0-11 to 0-10) separated the sides in the finish with the county hurlers producing a gutsy team effort, inspired by captain Daire Duggan from Ballinalee who registered two vital points. Longford swimming star Darragh Greene was in brilliant form at the prestigious McCullagh International Meet at the Bangor Aurora Aquatic & Leisure Complex, Co Down when he dominated all the Mens Breaststroke events. Darragh collected three Gold medals after winning the Breaststroke 50m, 100m and 200m in what was a wonderful achievement. Longford Athletic Club were very successful on Day 2 of the Connacht Indoor Juvenile Championships at the Athlone IT Arena, winning Gold in 11 events along with a number of Silver and Bronze medals. Longford’s leading individual athlete was Nelvin Appiah who completed a magnificent treble in the U-18 category by virtue of winning the 60m, 200m and the High Jump.